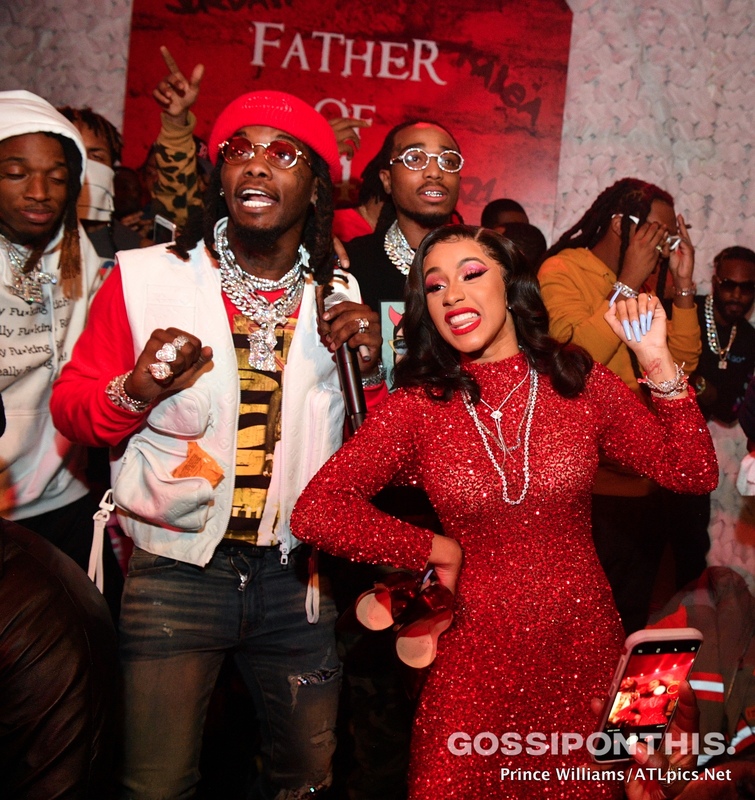 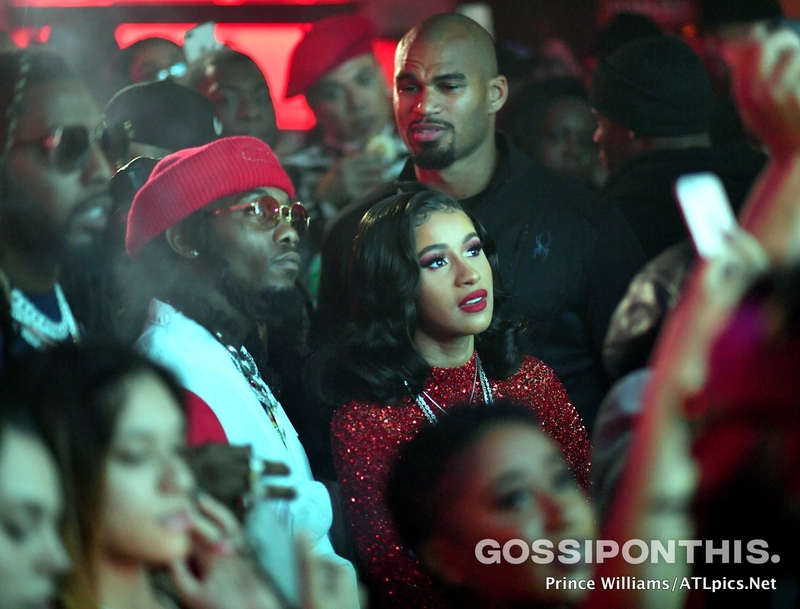 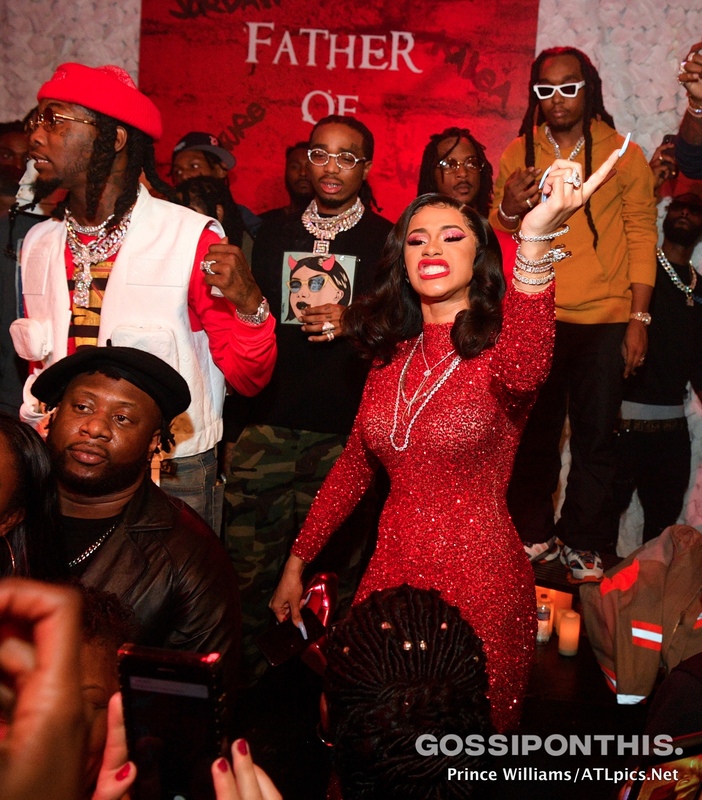 Cardi B supported her husband Offset last Thursday (Feb. 21) at the rapper’s private listening party in Atlanta to celebrate the release of his debut solo album Father of 4. 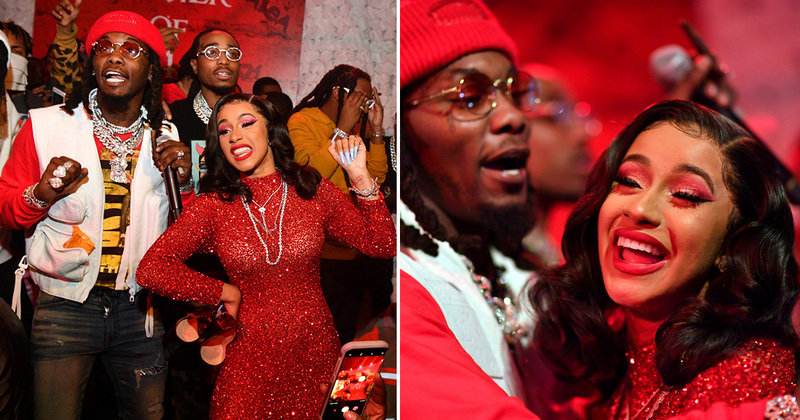 Wearing a red, sparkly floor-length gown, Cardi looked like a 2019 version of Jessica Rabbit as she stuck close to her man and turned up to his new songs. 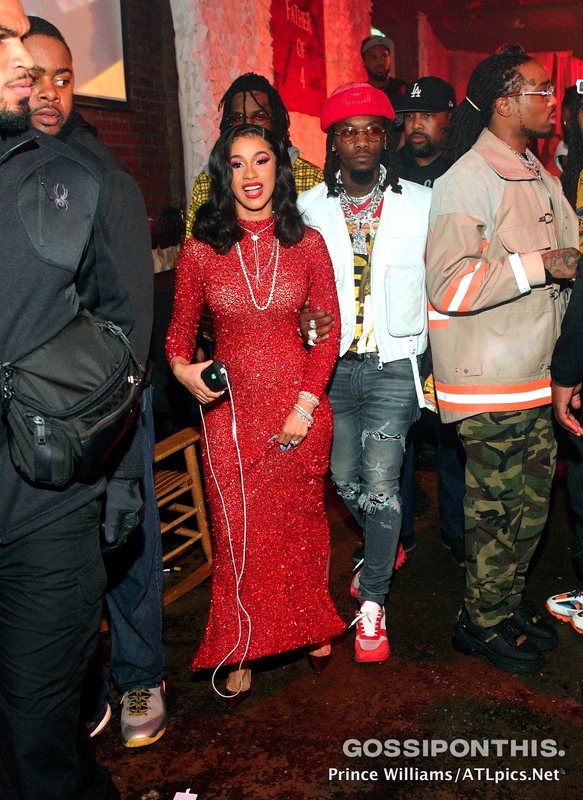 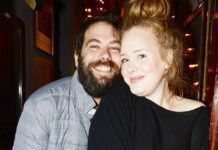 In some photos, she can be seen holding her shoes, which is something women do at parties after they’ve been dancing on their feet too much. 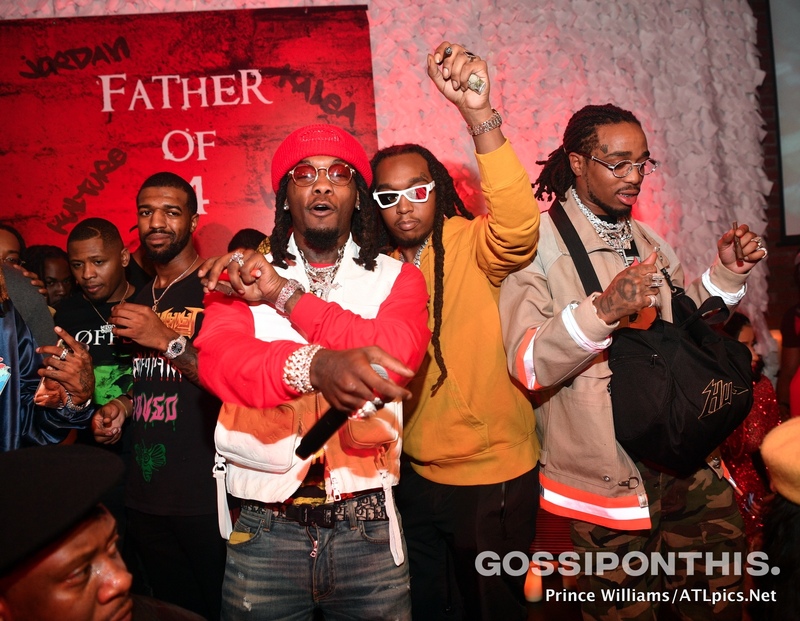 Offset’s cousins and Migos group mates Quavo and Takeoff were on hand to support their boy as well. 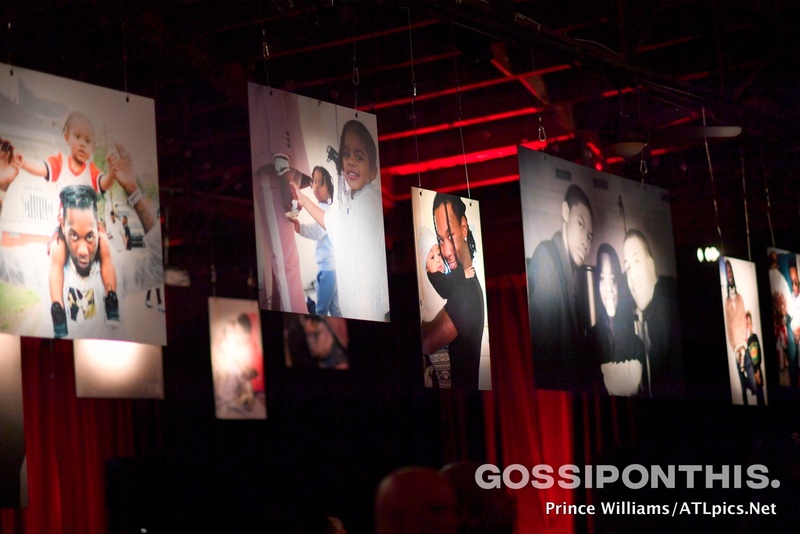 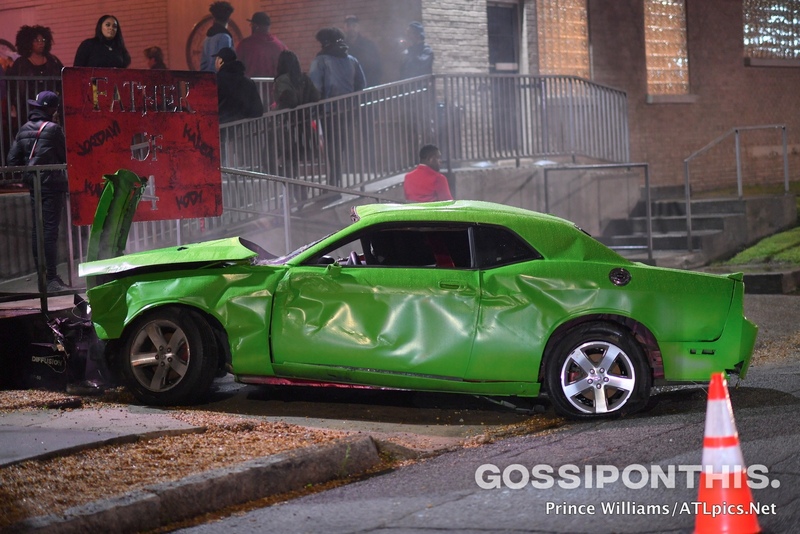 Offset, who was seriously injured in a single car crash in Atlanta last May, added a personal touch to the event by putting his wrecked lime green Dodge Challenger Hellcat on display outside the venue. 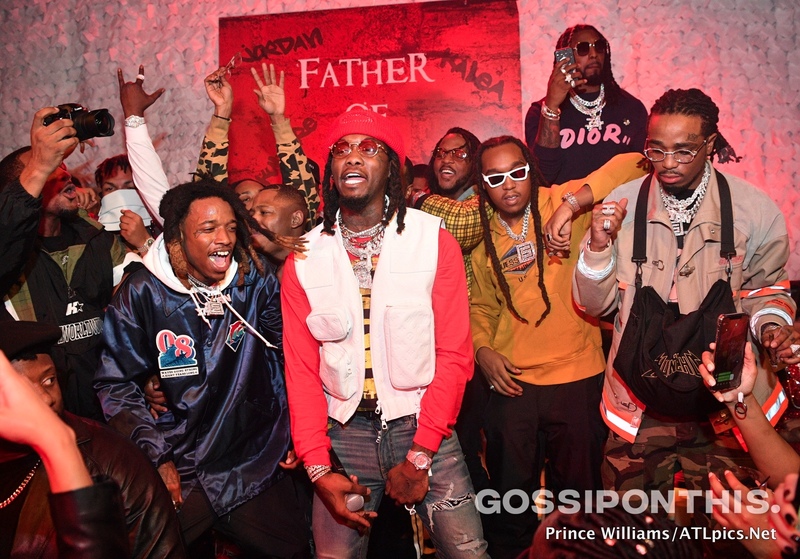 Offset’s album name comes from the fact that he’s fathered four children—two sons, Jordan and Kody, and his daughter Kalea from previous relationships, as well as his youngest daughter Kulture Kiari with his wife Cardi B. 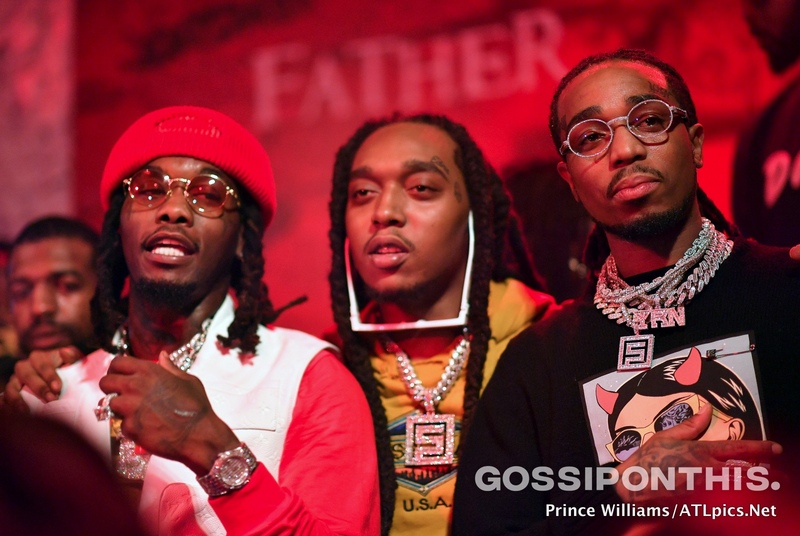 Father of 4 sees Offset opening up about his personal life in a way that fans have never heard before. 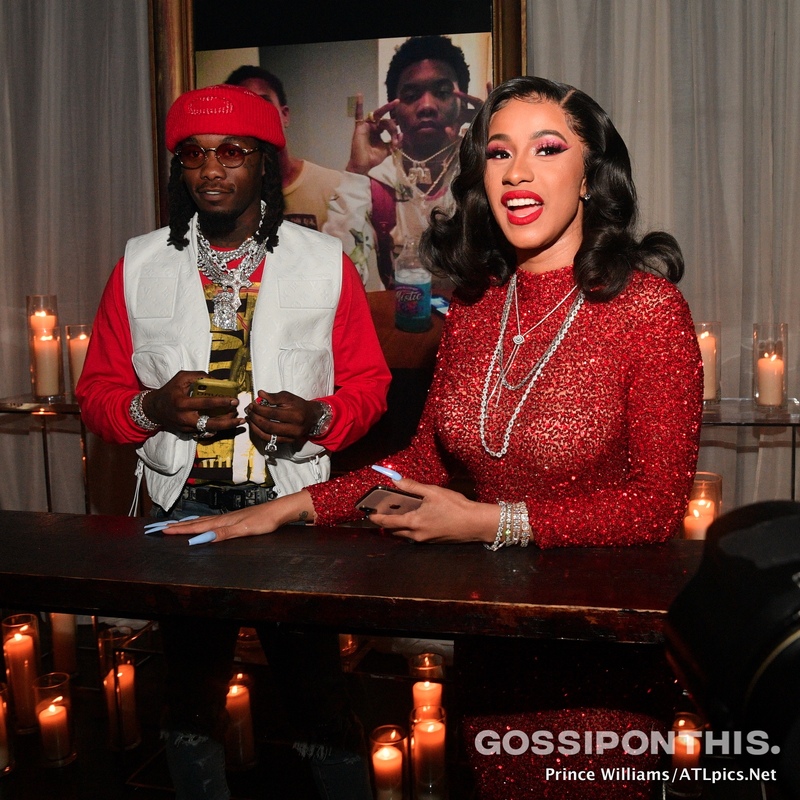 The rapper references his relationship with Cardi on a couple of songs on the album, including “North Star,” “After Dark,” and “Don’t Lose Me,” the latter of which features an apology in the intro. 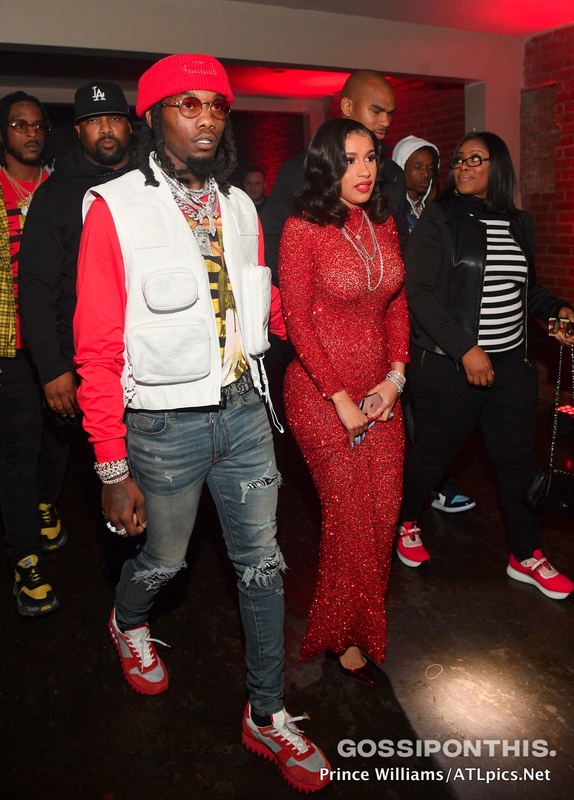 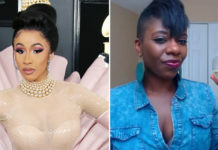 Of course, Offset’s solo debut wouldn’t be complete if it didn’t feature a guest appearance from his wife, who shows up on “Clout” to present a united front with Offset, accusing blogs of using their relationship for clicks and views.